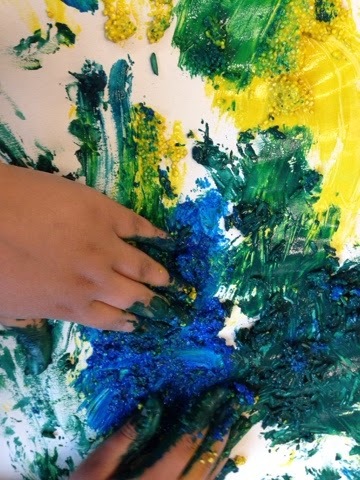 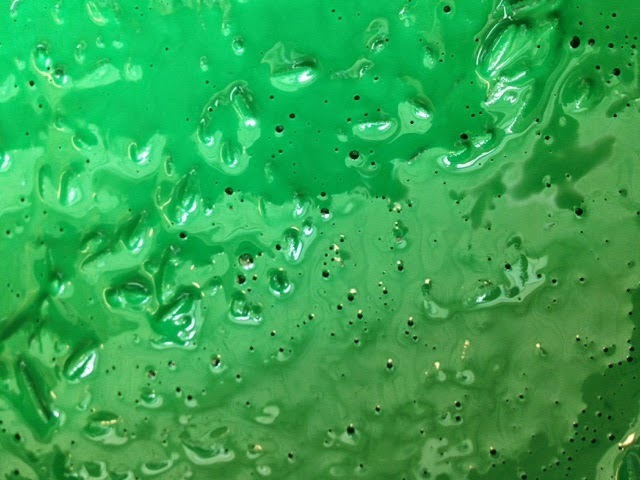 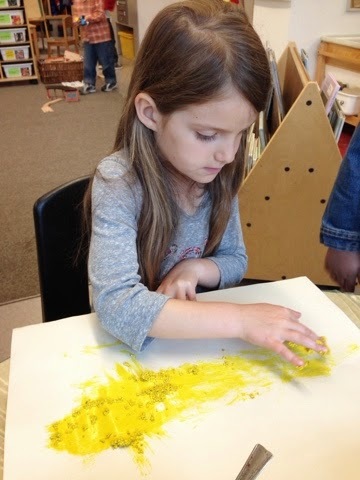 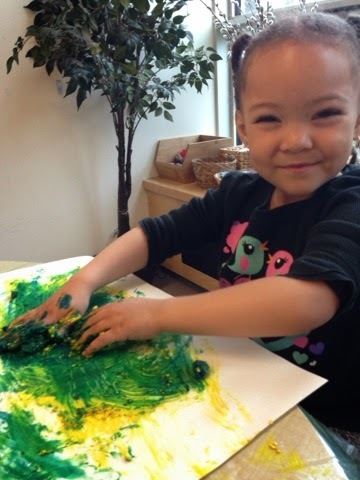 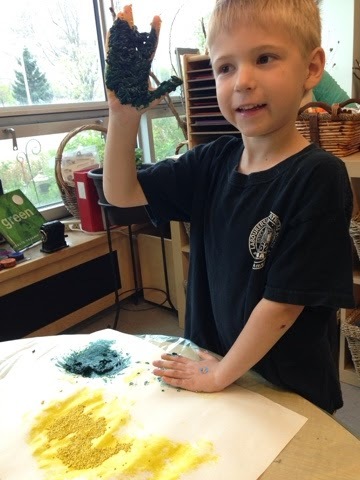 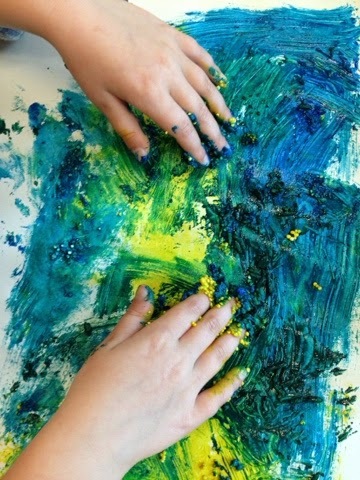 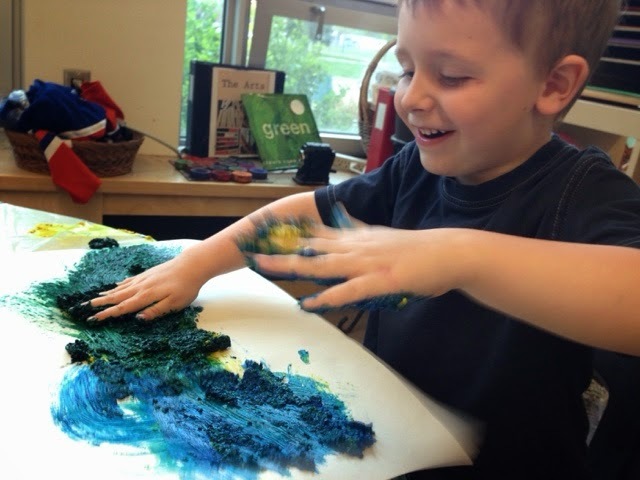 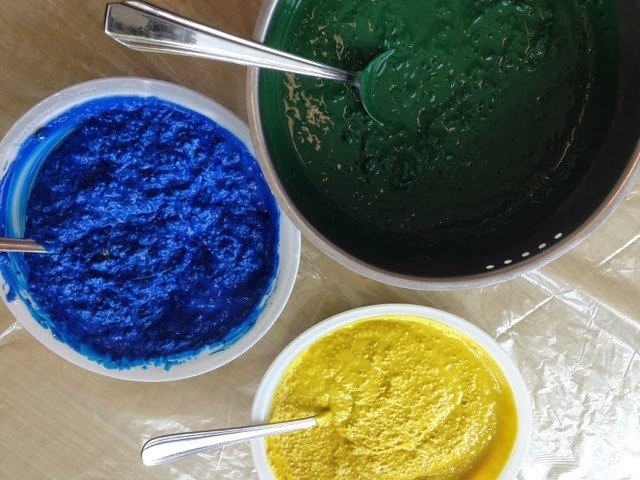 We offered the children a textured fingerpainting experience today by adding dry elements to various colours of paint. 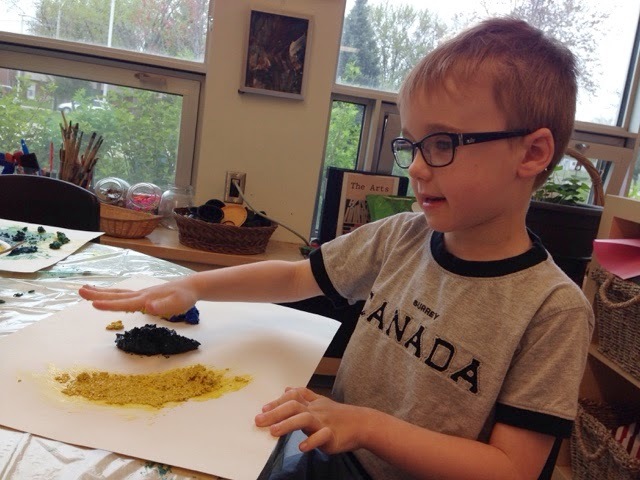 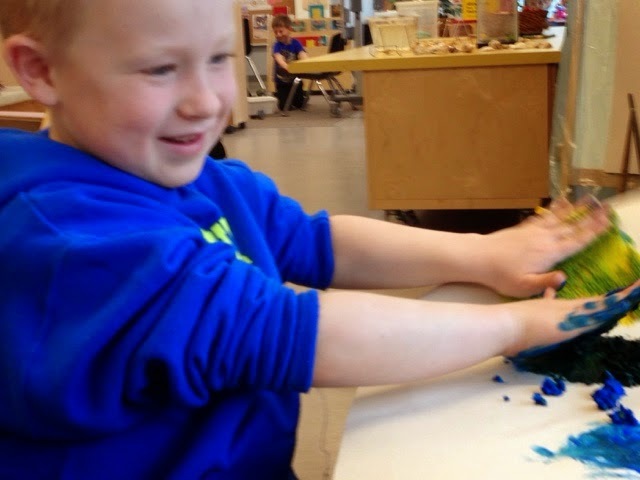 It was so much fun to get our hands dirty and create with this messy mixture. 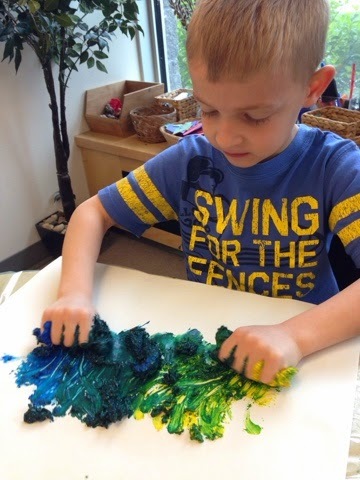 We used complimentary colours so that when they mixed new colours were created. 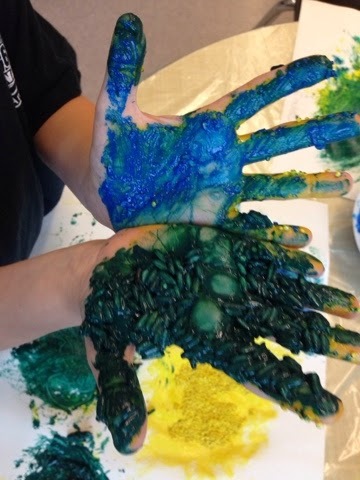 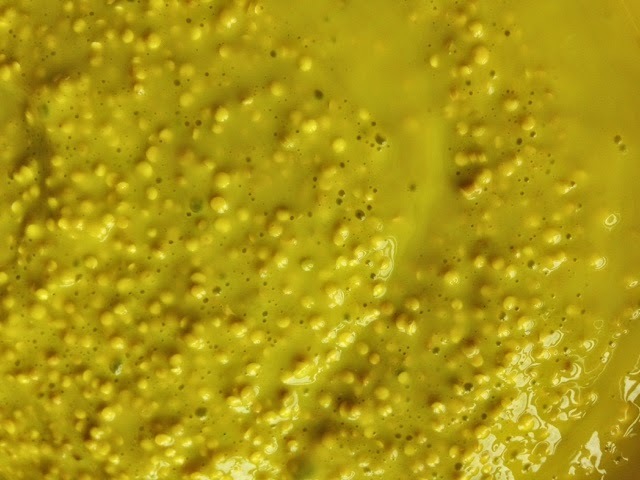 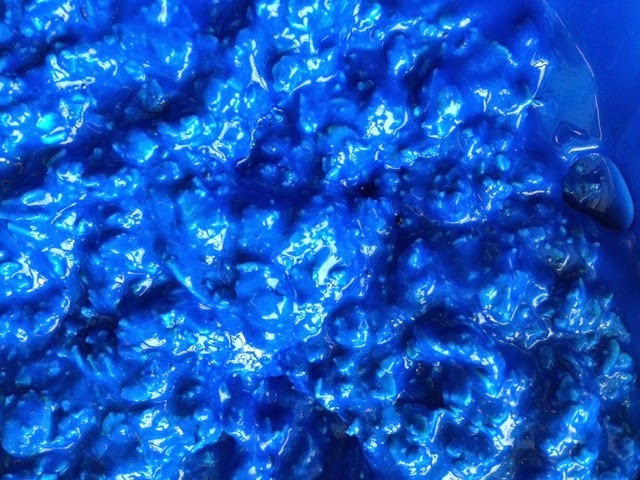 A word of warning for those who try this - we had our children rinse their hands in a bucket before washing at the sink so we didn't clog the sink with the paint mixture.